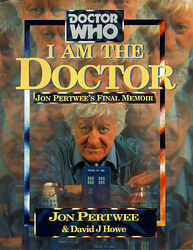 V RARE: Jon Pertwee: I Am The Doctor. Autobiog, Doctor Who. Sale for charity do!